This will definitely be worth a +1 sword. Venturing out into the unknown and digging up treasure has a long history in RPGs, stretching back to the beginning of Dungeons and Dragons itself. 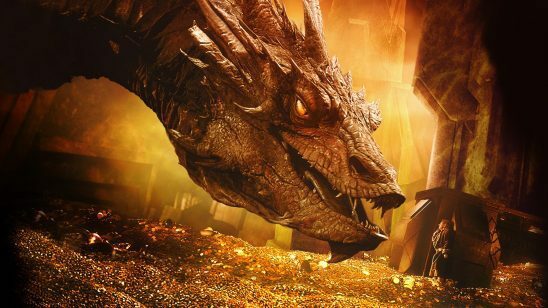 For decades, players have delved dungeons, defeated dragons, and been rewarded with glittering gold pieces for their trouble. While this type of adventure was originally inspired by prose stories, there are a number of special considerations that RPG settings require if you want to keep the treasure flowing in. Most older games never bothered with this kind of robust worldbuilding, treating gold pieces as something that just spawned out of the earth for no reason, but you’re going to do better. Where Did the Treasure Come From? The first thing your world needs is a reason why there’s so much treasure lying around. How much, you ask? Enough that the PCs can credibly find some every session. This kind of treasure distribution is practically unheard of in real life, where even successful treasure hunters often go years between finds. That won’t work in an RPG. If the players have to wait more than a couple sessions before finding something valuable, they’ll quickly get frustrated and lose interest. So why is there so much treasure lying around? It’s always possible that the treasure is from a natural phenomenon. Maybe an enchanted meteor exploded in the atmosphere, showering the land with magically charged fragments. But if you’re following the steps of classic RPGs that came before, the treasure is probably artificial. You get better variety that way too, since your PCs can find coins with the emperor’s head one week and creepy jewelry the next. So who made all this treasure, and why aren’t they around anymore? For best results, you’ll want a group that was powerful enough to make a whole bunch of valuable treasure and that inhabited a large area. And it always helps if they were more technologically or magically advanced* than whoever is around today. That way you have an excuse to create elaborate ruins far beyond anything the PCs have ever seen. You can certainly have more than one source of treasure, but each source adds complexity to the setting, making it that much harder for your players to remember the world’s history. In most cases, it works best to have one primary source of treasure, with a few smaller sources that show up occasionally to add novelty. If most of your treasure comes from a ruined elven civilization, you can really get players interested by having them find an artifact that predates even the elves. Once you’ve decided who created all this treasure, you have to decide what happened to them. In most cases, you want a fast apocalypse, something that destroyed the ancients but left many of their valuables intact. A slow decline doesn’t usually work, as in that scenario, the ancients would have had plenty of time to take their treasure away. Conquest by a foreign enemy is also a difficult option, as you’d expect the conquerors to strip away anything of value they could find. Alternatively, if the ancients were really advanced, it’s possible that even their trash would be valuable to the PCs. This gives you more options for what happened to them but also requires a big technology gap. My preferred method is to craft an ancient empire that controlled a large area, then have some kind of magical cataclysm occur in its central provinces. That way, I can justify whatever level of destruction I need for each adventure. This session, the PCs go to a town where the buildings are completely intact, but the people were vaporized instantly. Next session, they’ll visit a castle that was teleported underground! Why Haven’t People Taken the Treasure Before? 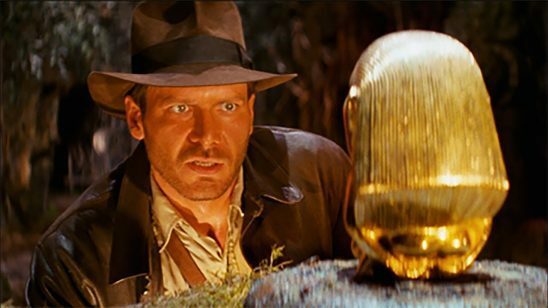 This may shock you, but humans don’t usually leave piles of valuable treasure just lying around. If the treasure is at all accessible, we’ll take it. If the treasure isn’t accessible, we’ll tunnel through rock walls to make it accessible. 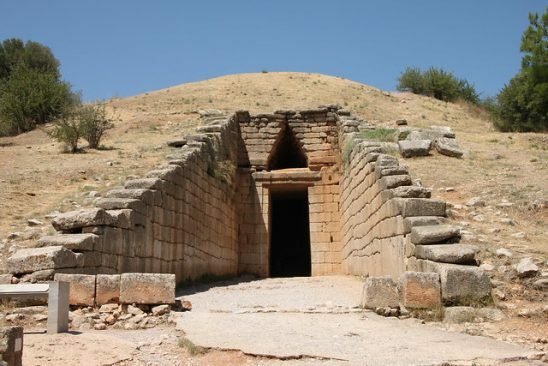 That’s why the discovery of intact Egyptian tombs is so rare; they were plundered for their wealth long ago. To keep your setting credible, you’ll need a reason why there are still enough goodies to give the PCs new loot every couple sessions, and there are basically two options. In this scenario, the treasure is inaccessible to most people, but the PCs have an unusual quality that lets them access it anyway. Sometimes this is straightforward. If the treasure-filled ruins are surrounded by invisible force fields, only a party with one of the six legendary pass-stones can get through. Or the treasure might be in another plane of existence, and the PCs just happen to have a teleportation spell. Alternatively, the rare ability can be a little more subtle. If all of the treasure is protected by high-level monsters, only the few adventurers who reach high level can go after it with any hope of success. This often feels more natural, but be careful. If the PC’s ability is less tangible, it may seem that others should have found a way to substitute for it by now. High-level adventurers might be rare, but surely a wealthy monarch could send in an army and get the same effect. This option’s main advantage is that it provides a stable, easy to explain reason why there will always be shiny loot to fill the PCs’ packs. It hasn’t been taken because no one else can get to it! The downside is that such limited access can seem a little contrived and make it harder to build a holistic world since so much of it obviously centers on the PCs. If you want an explanation that doesn’t make the party feel like a bunch of chosen ones, you can craft a situation where something has recently changed in the setting to make the treasure accessible. Perhaps the ancient ruins used to have such a high level of ambient radiation that just walking into them was deadly, but now the rads have come down enough that exploration is possible, with special protection of course. Advancements within the setting are also a good option. Maybe all the treasure is on another continent, and for centuries no one has been able to build ships sturdy enough to reach it. But now someone’s had the bright idea of putting these newfangled steam engines on a boat, and it’s actually possible to reach those distant shores. You can even focus on social and economic shifts, if that’s your cup of tea. Perhaps treasure hunting was too dangerous to make a serious occupation in the old days, but now the ruling elite are squeezing the lower classes so hard that risking death in ancient ruins is a sound investment. The setting-focused option is the inverse of the character-focused one. It makes the world feel more alive, but it’s also more difficult to explain. Be sure you’ve got a simple version ready, or you’ll find your players’ eyes glazing over as you try to explain why an increased wealth disparity has led farmers to abandon their land for the high-risk, high-reward job of treasure hunting. What’s Between Your Characters and the Treasure? Once you’ve figured out where your treasure comes from and why it’s still there, you’ll need a steady supply of obstacles to make the PCs work for their gold. These obstacles are essential to any treasure-seeking game, but they’re also a potential failure point. If it feels like monsters and enemies have been thrown in without much thought, players start to ask questions. Environmental hazards are a major staple of RPGs, so you have a lot of inspiration to draw on here. The main thing to keep in mind is how these hazards actually fit into their surroundings. While spiked pits and rolling death stones may have worked for D&D and Indiana Jones, these days artificial traps are likely to come off as hokey and unrealistic. Players will wonder how such elaborate mechanisms could possibly still function, and if your adventurers go anywhere other than sealed tombs, they’ll also wonder why the ancients would build death traps in areas they had to use every day. It’s possible to explain both issues, but it’s often less work to use natural hazards instead. Fortunately, there’s rarely any shortage of these, especially if the adventure takes place underground. Cave-ins or structural collapse are always a serious concern, and even minor ones can be really dangerous. You can also make use of poisonous gas pockets, flooding, smoke, fire, and even mold! Your options get a lot broader when you add in the effects of magic or malfunctioning technology. Of course the ancients didn’t mean for their lab to be filled with portals to a hell dimension, but that’s what happens when you leave the portal generators unattended for a few centuries! Then you get into monsters, which I define as any threat that’s alive but non-sapient. * Contrary to popular belief, monsters don’t have to be violent in order to be threatening! Insects can carry diseases, while small burrowing creatures might pop up out of the ground to steal the party’s food. But eventually, you’ll probably want to break out the kind of monster that breathes fire and devours 1d3 adventurers per round. In that event, keep in mind what these creatures do when there aren’t PCs around to fight. What do they eat? Does anything eat them? Are they hostile because they see the party as food, because they’re defending their territory, or for some other reason? Remember that most animals will retreat from a losing fight if they can. At the same time, many players won’t love the idea of killing more animal-like monsters, so it’s useful to have noncombat options for resolving those conflicts. You don’t need to explain all of this to the players, but knowing it will help your world feel consistent, since there won’t be a giant predator roaming around with nothing to prey on. Sooner or later, monsters won’t cut it, and you’ll want some sapient antagonists to threaten the PCs. Intelligent enemies have a lot more agency, and they can even become major NPCs if you play your cards right. The main issue is where this opposition comes from. In D&D-style games, the answer is often that orcs, goblins, gnolls, or other “monstrous races” just happen to live wherever the treasure is, and they’ll try to stop the PCs from getting it. Except in that scenario, your PCs are breaking into someone else’s home, killing them, and taking their stuff. The only justification most games offer is that the orcs are just “inherently evil,” which has really racist implications. That’s pretty terrible, and a growing number of players are not into it. One way to avoid that problem is to have the intelligent opposition come from other treasure-seekers. Nothing like a little competition to spice things up, and it’s the work of a moment to craft evil adventurers who will happily snuff the PCs out for a bigger share. You can also get a lot of mileage from semi-intelligent creatures like golems and robots. They have the smarts to match the PCs on tactics, but they don’t have a living society for the party to disrupt. If you’re set on using intelligent enemies who live where the treasure is, you’ll need to consider the context very carefully. For example, if your PCs are exploring the ruins of a fallen empire, and the enemies are a battalion of immortal imperial soldiers, that doesn’t have the same connotations as the party’s slaughtering a family of orcs. Much of the imperial treasure was likely plundered from the PCs’ homeland in the first place, and if the immortal soldiers have plans to establish the empire, then they’ve got to be stopped anyway! Finally, if you’re set on using fantasy classics like orcs and goblins, consider flipping the script a little. Maybe the orc village will offer the PCs some treasure in exchange for clearing out a local monster infestation, or maybe they need someone to transport cargo through dangerous tunnels. Most options will be better than turning your party into a bunch of murderous burglars. How Long Will the Treasure Last? Unless there’s something actively replenishing the treasure in your setting, a time will come when it inevitably runs out. You have some flexibility in that timeline, since this is all an abstraction and you’re not actually keeping track of each gold piece, but eventually your players will wonder how there can possibly be more stuff left. How long this will be depends on your world’s setup. If you’re using an option where only the PCs can get to the treasure at all, then it could last for a very long while. If you’ve gone with a societal explanation, then it’s only a matter of time before you get a gold-rush situation and the best stuff is picked clean. A lot of campaigns won’t go long enough for this to be an issue, but if it comes up at your table, you have a few options. First, you can switch to a different setting, or at least switch to a distant area of the same setting. Sure, the Highlands of Grell might be done, but the Planes of Erenthu await! This often requires rolling up new characters. If you want to keep the campaign going in the same area, you can add new sources of treasure, but this has limits. The players may accept that there’s a second layer of deeper ruins underneath the first, but once you mention a third layer, the side eyes will come out. A more reliable option is to change the style of play. If your campaign started as a treasure-seeking adventure but you’ve run out of credible reasons for finding treasure, consider transitioning into a political or military game. All the free resources have been gobbled up, and now the people in power will try to consolidate and expand their control. This kind of transition often works extremely well. The treasure-seeking portion of the game gets players invested in the world through the immediately understandable goal of getting treasure. Once you have that investment, you can move on to more abstract plots, like what kind of government your setting will have or which god is the best god. Including less intelligent artificial life like golems and robots. Which, to be fair, could also be a fun campaign premise. Great article, Oren. Lots to think about. Thinking through the implications of the artifacts, what type of people made them, and what happened to them, would be the key to making things more believable and interesting. Another reason for why the treasures haven’t been looted, could be time and ignorance. The old civilization died out centuries before the new one arrived on the scene. The roads and most of the buildings would be demolished by nature and there are few, if any, people living nearby. The legends tell of an advanced country far to the west. People think it means across the sea, when in fact it’s just the next mountain range over. Travel was slower in the old days, so no one thinks it could be that close. Most people don’t go wandering into the deep wilderness, so the chances of running across the leftover ruins would be very small. Again, great article. Thanks for taking the time to write it. It’s an example of why this site is so awesome. Glad you liked it! Yeah, if no one knows about the treasure, that would make a good explanation. Though of course once the PCs start bringing gold back, the rush will be on! Maybe the locations of old dungeons are recorded in texts rather than maps, many of which are written in a language that has only just been redeciphered. Phase one of the expedition is finding out if the dungeon’s really there. I’d also point out that it wasn’t a even a universal thing in Indiana Jones: The Well of Souls wasn’t boobytrapped, and neither was the map room. Hey Oren, would you be willing to write a world-building article on monster creation? Specifically, I want to learn how to make monsters that the players don’t feel bad about going all “medieval” on. I’d like some pointers on how to make monsters the players can fight without feeling racist, essentially. I certainly include creatures/monsters with more human-like traits in my games, but it feels like a Pandora’s box, where now everything can be negotiated with. Sometimes I just want a zombie to be …a zombie. And I don’t know how to delineate that line clearly to players without just stating it outright, which can almost feel like railroading. Thanks for writing, it gave me a lot to think about. Hmm, you know at first I didn’t know if I had enough to say on the topic but I think I might, so I’ll add that to the list of ideas. For now, if the issue is mostly with intelligent enemies, have you considered making them part of an expansionist empire? My own PCs aren’t super into the idea of going into a dungeon and killing orcs, cause those orcs live there! What have they ever done to the party? But when I made the enemy a conquering elven army who wanted to take the PCs homes, they were super into it. Yeah. Orcs pillaging the local farms and doing so as a prelude to war as ordered by the Orc emperor, does have a bunch of advantages. It explains why the army hasn’t fixed the orc raider problem (too busy with other matters). It explains where the gold came from (stolen from people in the local area). It removes the issue of civilian orcs and the Geneva convention. It explains why the locals haven’t organised a posse (these orcs have military issue weapons & armour and all passed the orc physical and orc bootcamp). I believe that might be lake Geneva!?! Not sure. You could make the main villain in the dungeon a human (or whatever the dominant species is). Especially one with links to one of the PCs. If they’re sufficiently bad then the players won’t have issues fighting them, and they could have all sorts of evil minions working for them (doubly good if the minions are created by magic and have no will of their own). One way to have players feel that their characters are “chosen ones” is to have actual PC death be a real possibility within the game. “Three of our nine PCs didn’t make it out alive. That explains why farmer Jones didn’t give adventuring a try. And our six remaining PCs survived. 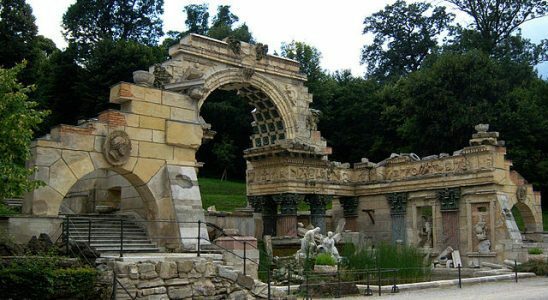 You do know, that you used the image of artificial ruins, wich where considered stylish in the 18th century (Roman_Ruins_at_Schönbrunn)? Many of the answers are humourous, but some are serious, and some of the jokes might still lead to some inspiration (eg why have a throne trapped so as to strike people with lightning – originally it was a test, because the true king was blessed by the god of thunder). There are lots of good options out there, especially when you move away from standard dungeon designs. One thing I will add is that the source of treasure may not necessarily be ancient. A town may have been overrun with monsters only a few years ago, the survivors willing to let the adventurers take anything they find in payment for reclaiming their home. A powerful wizard recently died and the race is on to find where his rumored secret treasure horde is. A dragon has hired the party to test the security on his new lair, etc. In one game I played in we found a town and fortress that was full of unlooted coins and jewelry. Suffice to say, we quickly discovered exactly why nobody had looted all this treasure, and left most of it behind. Now I’m curious … why did you guys leave the loot? None of the groups I have played with would leave massive amounts of treasure behind. It. Is. Just. Not. Done. 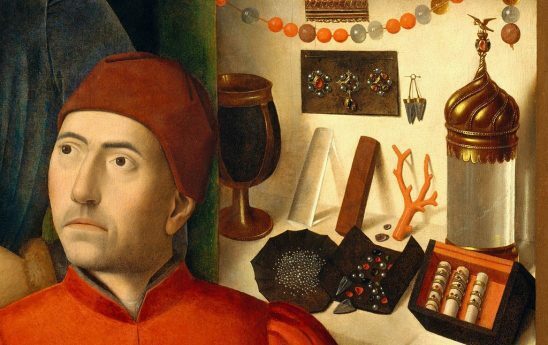 How about forms of treasure that have only just become valuable? The wine cellars of the ruined castle were filled with the produce of the local vineyards – not worth much. But since the war that ruined the castle also destroyed the vineyards, now, a generation or two later, that local wine has matured into a rare and sought-after vintage. The kingdom’s mithril mine is playing out – but there are legends of ancient mithril mines that were abandoned as too perilous (they delved too greedily and too deep – you know how it goes) and a fortune awaits anyone willing to brave the crumbling mine-workings and clear out whatever nameless horrors that have taken up residence, so the mines can be re-opened. The plague ravaging the land has a cure – but the vital ingredient is a rare lichen only found among the caves and peaks of the mountainous wastelands. Someone must bring back a supply – and quickly! In each case something that was commonplace, or at least known to exist, has suddenly rocketed in value – making the risk worthwhile. Those are all excellent ideas for treasure. I think the issue you might run into is difficulty with repeating them. One of the things that defines most RPG campaigns is you need to produce new content every week, and if you’re depending on a bunch of different scenarios to make formerly common items into valuable treasure, it might be hard to justify after a while. You won’t need a new type every week – the newly valuable goods will probably stay valuable for some time, at least enough for a few dungeons. In the opening years of the Kalgoorlie Gold Rush in western Australia (1893), the gold rushers kept finding so much calaverite (a silvery-gold metal) that they had mistaken for “Fool’s Gold” (iron pyrite) that they used the rocks containing it for building purposes and filling in potholes. A few years later, it was realized that calaverite was actually a combination of tellurium and gold – and the next phase of the gold rush began as people tore down buildings and dug up roads to get it. One ought to be able to adapt this to a fantasy setting without any real difficulty….. True – even if I could keep coming up with ideas for “suddenly valuable” treasure it would be obviously contrived. I was thinking of these ideas as something to mix in every so often with other forms of treasure-seeking – a change of pace, rather than a regular occurrence. Maybe the local nation has fallen into a period of several contesting factions. Artefacts from the old ancestral empire weren’t previously valuable to risk expeditions into dungeons for, but now there are many nobles who will pay dearly for the historical legitimacy they provide. In my D&D campaign, The adventurer’s found a portal to another plane of existence. The people who inhabited that plane have all mysteriously died (or have they? wink wink) and they left a ton of treasure and magic swag. Plenty of treasure, a reason it was left there, plenty of monsters guarding it, nobody to take it, and potential mystery. That sounds like a good explanation and a solid mystery! Will the PCs have rivals who can also open portals or all they all alone?